The Illinois Prevention Research Center has concluded a study that reveals American kids eat too much pizzas, and acquire unhealthy amounts of calories, fat, and sodium from these pizzas. According to this study, pizza is the second-highest source of calories for kids aged two to 18, following after grain desserts which are seen in cookies and donuts. The researchers found that kids absorb more sodium, fat, and calories on the days they consume pizzas than on the days they fail to eat one; and then, a fifth of all children and adolescents consume pizza on any given day – meaning that about 20% of American kids eat pizza on any given day. The researchers advise that kids should consume less of pizza…at least space the days they have to eat some, while pizza shops must also produce very healthy pizzas that would meet the nutritional needs of the growing ones without harming them in any way. “It’s a very common and convenient food, so improving the nutritional content of pizza, in addition to reducing the amount of pizza eaten, could help lessen its negative nutritional impact,” said lead author Lisa Powell, associate director of the Health Policy Center at the Institute of Health Research and Policy at the University of Illinois at Chicago. The researchers observe that since children take in extra 84 calories when they eat pizza and teens absorb some extra 230 calories, they ought to eat less during the course of that day so as to cut down on the number of calories building up in their body; but they rarely do. 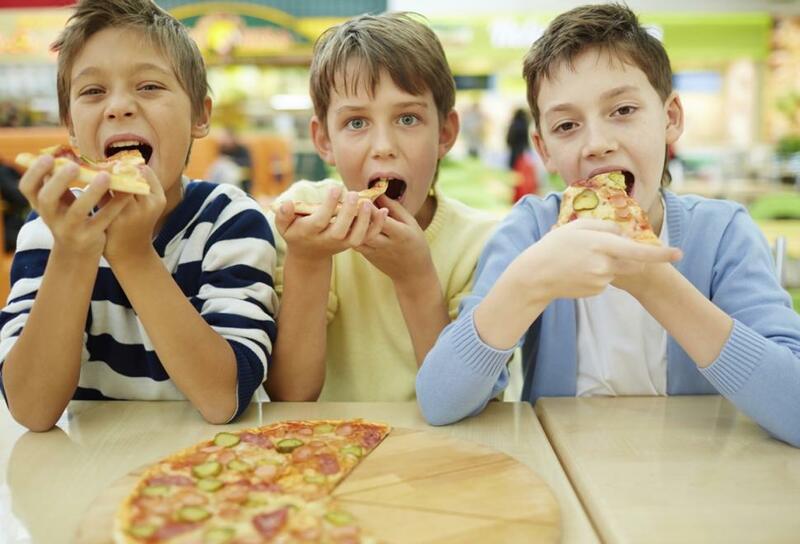 Lowering kids’ intake of pizza “should become another goal in our efforts to reduce obesity in U.S. youth,” said Dr. William Dietz, director of the Sumner M. Redstone Global Center for Prevention and Wellness at the Milken Institute School of Public Health at the George Washington University, and it is hoped that American parents would see the wisdom in this.